Election leaflet supporting Ernst Thälmann (KPD) for the 1932 Reichspresident election. The front includes an excerpt from the Dresdner Volkszeitung of 1925, which contains a drawing and also a quote from the leader of the SPD. 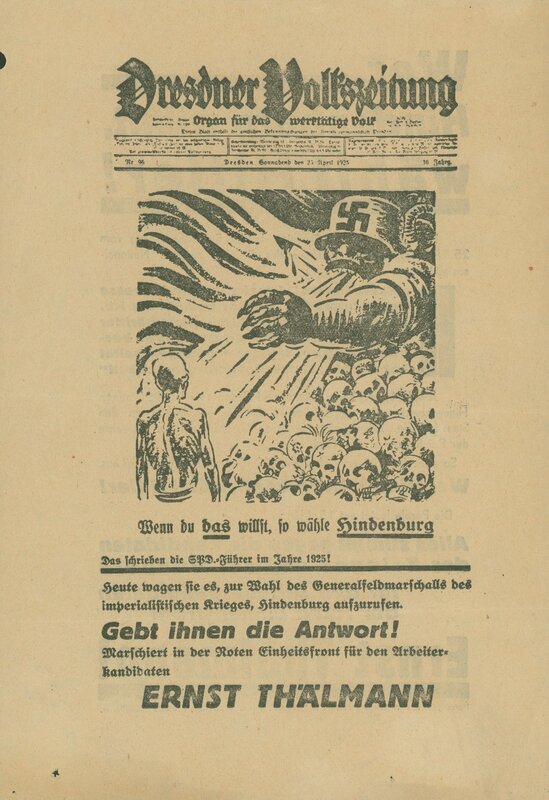 The back accuses Paul von Hindenburg, Heinrich Brüning, and Wilhelm Groener of being fat cats and that the voter should vote for the worker's candidate, Thälmann.